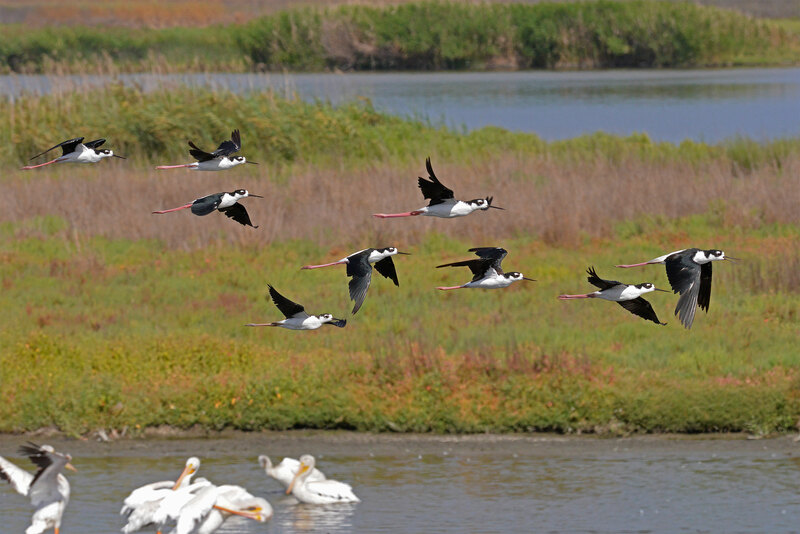 I first saw the black-necked stilt on July 17, 2013 at 8:54 A.M. Looking at the tide charts, low tide was 1:20 A.M. and high tide was 7:59 A.M. So, this was about an hour after high tide. Last week, not many birds were in the marsh in the morning. Low tide was round 9:00-10:00 A.M., as I discovered when I went out to look for birds and found the marsh pretty much drained. So, I have to look at the weather (sunny or overcast), tides and time of day. High tide in the evening is not the same as high tide in the morning. Looks like the cycle will be reversing, so hopefully this will be a good week.